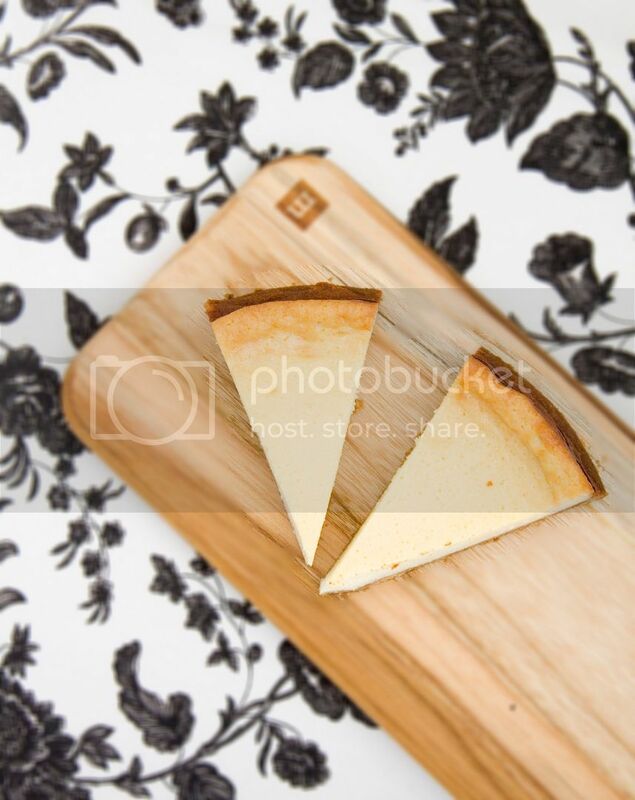 This New York style cheesecake requires no water bath and can be made ahead to store in the fridge. 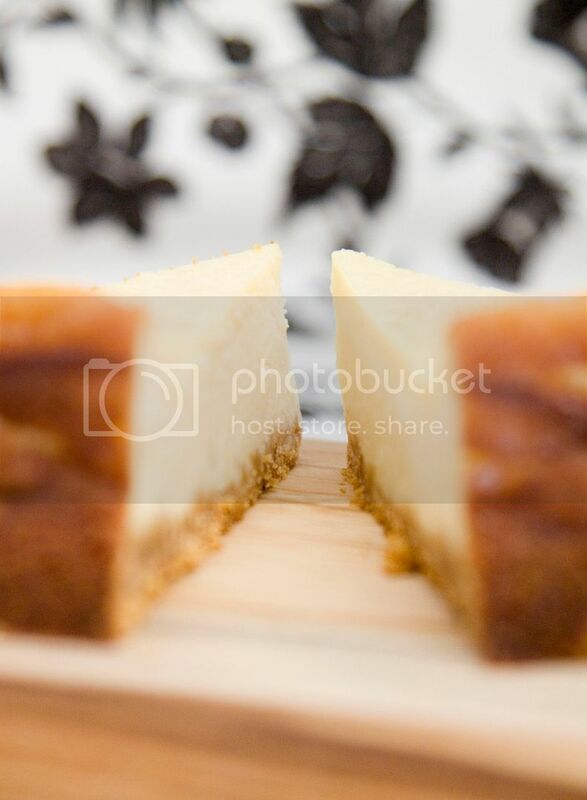 However, the texture is on the denser side unlike those fluffy Japanese style cheesecakes. 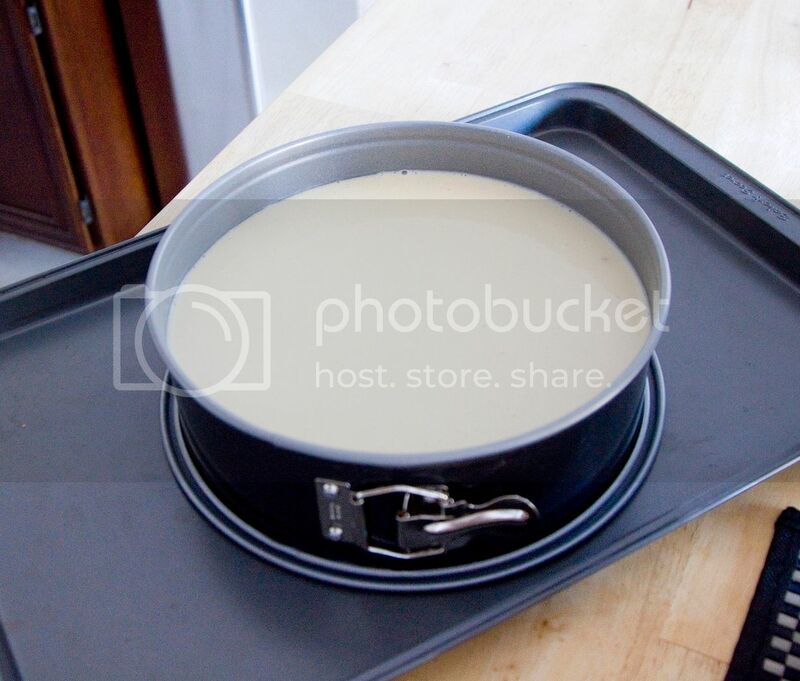 You can also pre-slice the cake and put in the freezer, which will give you a more custard/pudding like texture. Ingredients (for a 9 inch springform pan)? 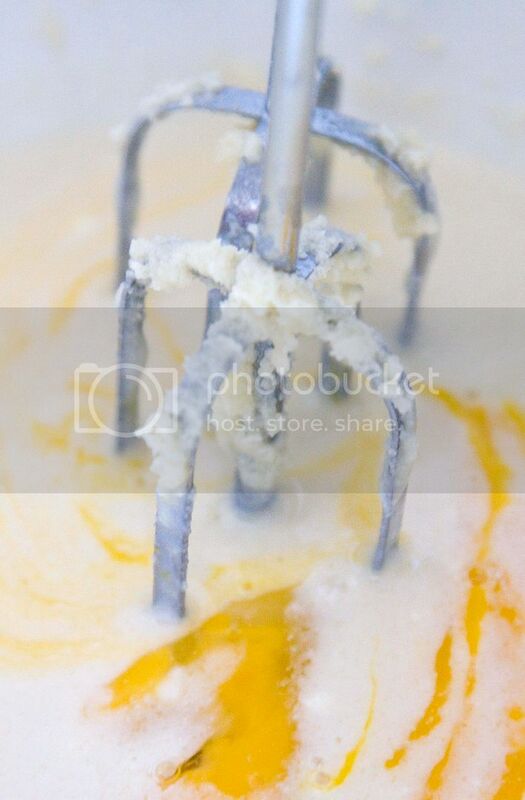 Melt the butter and use some of it to grease the inside of the springform pan, including the side. Preheat the oven to 350 degrees Fahrenheit. Put the crackers into a Ziploc bag and seal tightly. 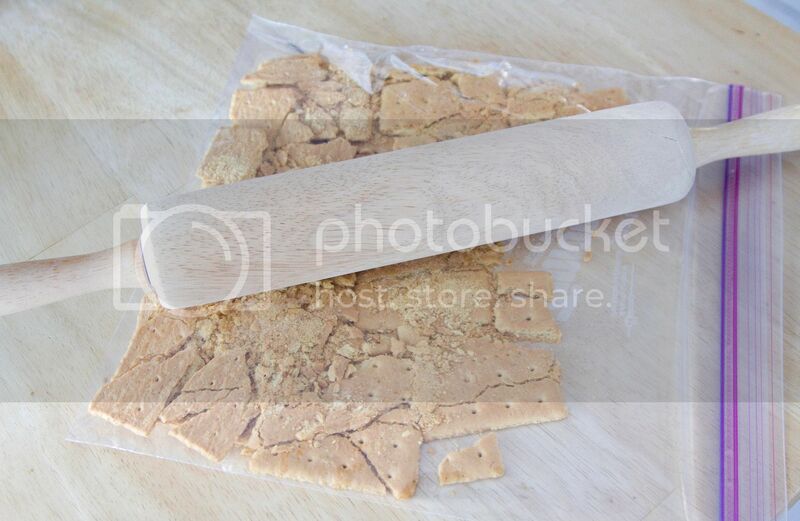 Crush the crackers into crumbs, a rolling pin can be a wonderful helper here. 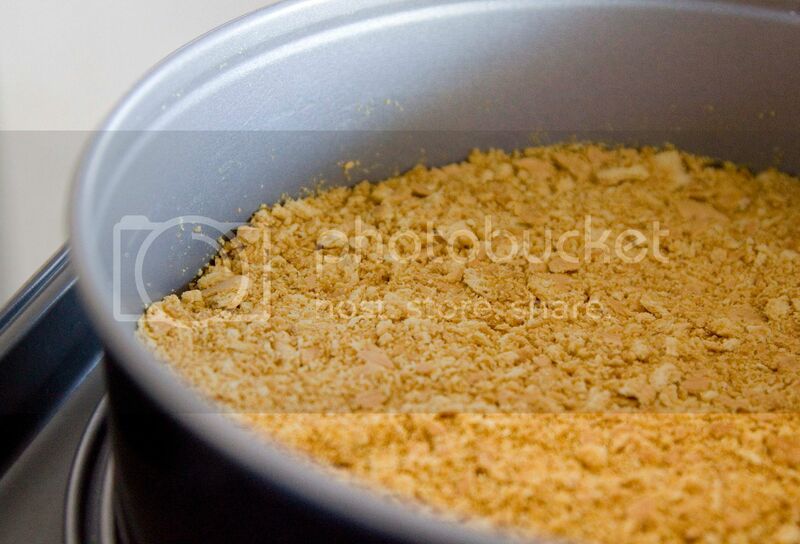 Take a bowl and mix the cracker crumbs with the remaining melted butter. 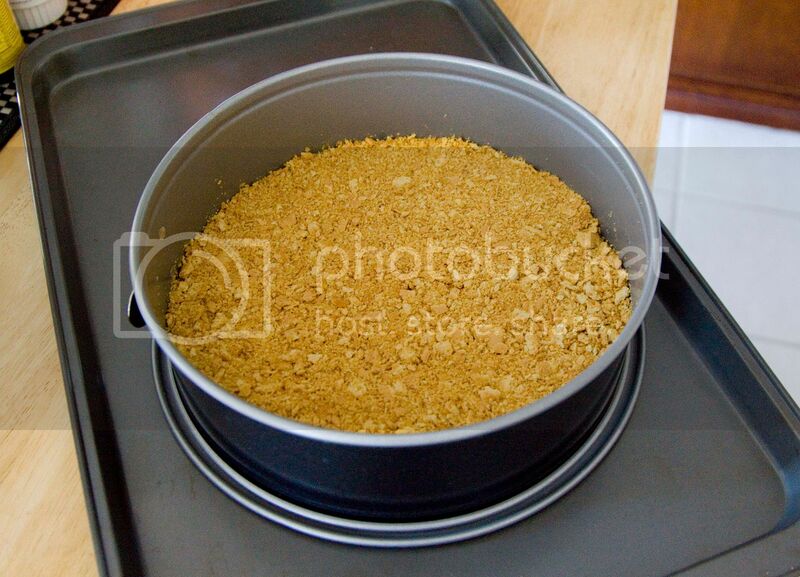 Press the buttered crumbs mixture onto the bottom of the pan evenly. 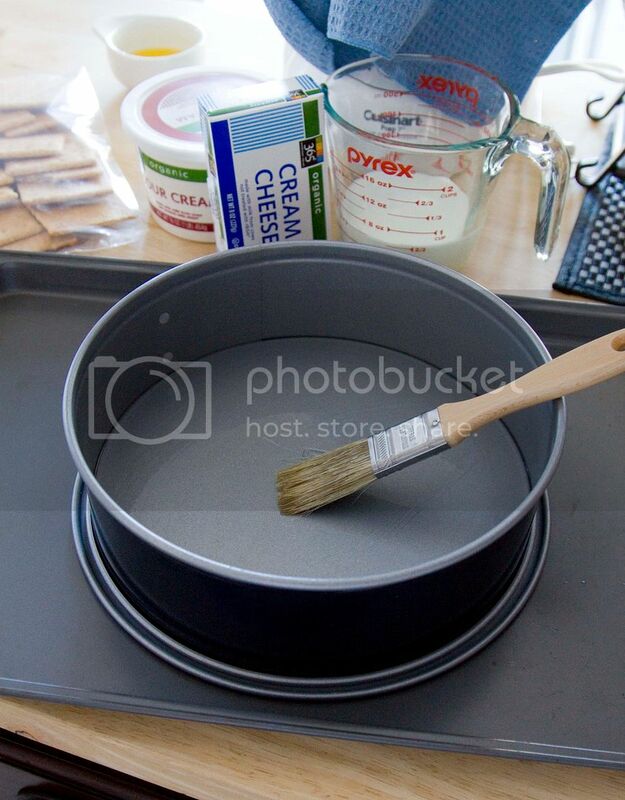 Transfer the pan to a baking sheet. Take another large bowl for mixing the filling. Blend the cream cheese first then gradually add in the sugar and milk. Blend till smooth. Blend and add in the eggs, one at a time, make sure don't over mix it. Add the sour cream and vanilla extract, mix till incorporated. Lastly blend in the flour until smooth. 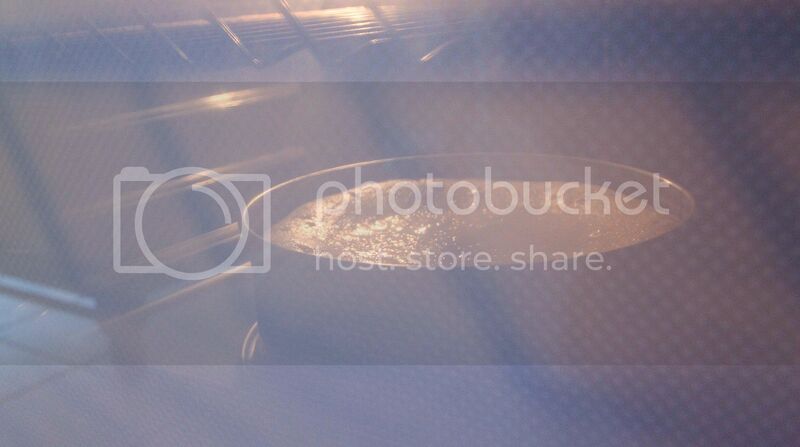 Carefully pour the mixture into the springform pan. Transfer to the oven and bake for 1 hour. No peeking so don't even think about opening the oven door during the process. After one hour, turn off the heat and keep the cake inside the oven for another 5 hours, or till completely cool down. Once ready, run the edges with a knife making sure the cake is not sticking to the side. Remove the cake from the springform pan. Run the knife with hot water and pat dry before each cut. This will help in getting cleaner and smoother edges between slices. You can play with this cake recipe such as adding fresh strawberries or drizzling some melted chocolate on the cake. Otherwise, simply serve it with some chocolate covered raisins also sounds like a good idea. Serve the frozen cake with a cup of hot coffee or hot tea, enjoy how the filling just gradually melts in your mouth. For wine lovers, try a glass of Riesling with this cake, you'll be amazed. Just stumbled upon your beautiful blog while was I browsing another blog. 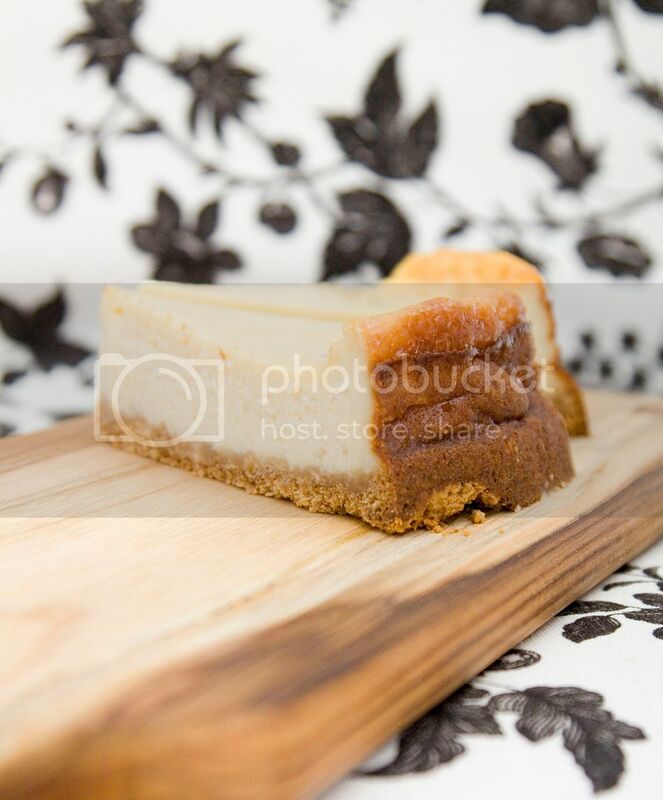 The cheesecake looks absolute delicious. The step by step recipe is really wonderful. Thanks for sharing. Thank you so much! Your kind words mean a lot to me!